Liz Boisvert is a licensed real estate agent with eXp Realty, LLC. In addition to a wealth of experience working with home owners and buyers, Liz specializes in working with relocation and veteran clients. She serves as an advisor to investors, builders, and other real estate agents on high level real estate business strategy. 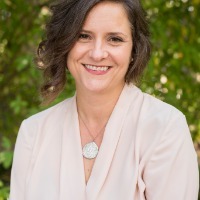 A proud resident of Independence, Liz works with buyers and sellers throughout the Willamette Valley- including Salem, Corvallis, Keizer, Monmouth, Dallas, Lincoln City, Stayton and Portland areas. Call Liz today at 541-243-2547! "Liz wants to understand all of your needs, wants and requirements in selling or buying your home. She is very marketing oriented with how get your home exposed to many markets. Liz also networks with many other agents to promote your listing or finding your new home. She is also a follow up, documentation specialist. Liz gets the job done, on your time schedule! You will want to know Liz Boisvert and make her part of your extended family. Liz listed our home in Dallas Oregon and generated several offers which resulted in a very quick escrow. She has a sense of urgency an helped find a perfect home for us in a very competitive Salem market. Representing us in both the sale and purchase of our next home Liz Boisvert we would highly recommend Liz for your real estate needs." Provided Courtesy Of Willamette Valley MLS. Information Is Believed To Be Accurate But Not Guaranteed. Copyright © 2019 WVMLS. All Rights Reserved. Information last updated on April 20, 2019 12:51 PM.